Starting in Portland, Oregon, we drove south along the scenic coastal highway 101, and made our way to one of our now favorite beach spots in Port Orford, making many stops along the way for pictures and to breathe in that invigorating salt-water air. Oregon beaches may not always be the sunniest, but their rocky features and scenic hillsides make them some of the most unique and beautiful coastlines in the country. Once we made it to Port Orford, we staked out our campsite right on the beach, under the stars. This spot remains one of our favorite beach spots in Oregon as the sun frequently shines, there are lots of outdoor activities to do, and the scenery is to die for. After logging some surf, we went for a hike in the scenic Port Orford heads, giving us a great vantage point of the oceanic rock features, and we even spotted a pod of whales cruising through! Not only did we have an amazing adventure exploring nearby Nellie’s Cove and braving navigation through a watery arch, but we came back with quite a haul, including rockfish, lingcod and crab. Next stop on our circumnavigation of western Oregon was Umpqua Hot Spring. 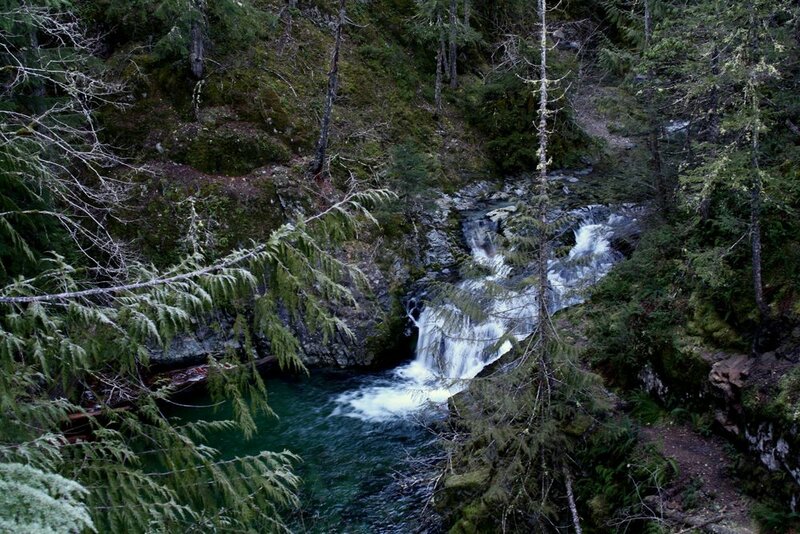 The Umpqua National Forest is nearly 1 million acres of incredible Doug Fir (including some remaining pockets of old growth), ferns and the myriad of other plant life that make PNW forest so special, nested on the slopes of the Cascade Mountains in Central Oregon. It is home to many beautiful water features including rivers, ponds, waterfalls, and, you guessed it, some awesome hot springs! We hiked into the springs, which has 3 hot pools (one covered) on a mineral deposit nestled above the North Umpqua River, and escaped the winter chill with a nice long soak. Given that it located in National Forest land, there are dispersed camping options down just about every dirt road or backcountry trail. So we picked a quiet spot right on the river to set up camp. Heading north we decided to hit Oregon's only National Park, Crater Lake, which is not to be missed if you are anywhere nearby. 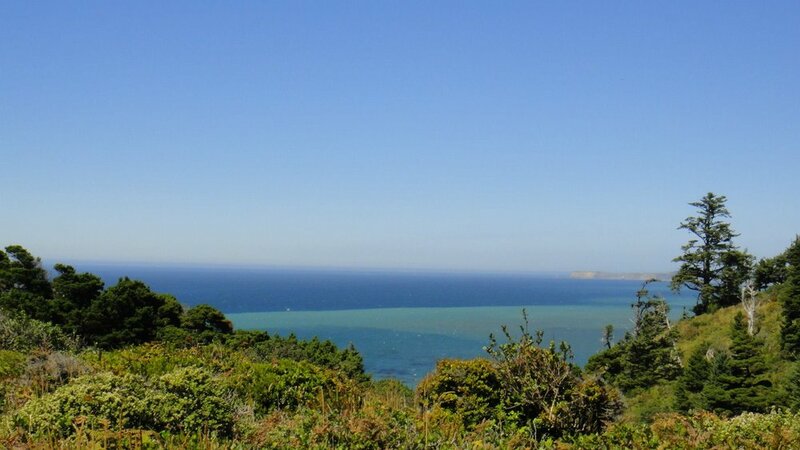 After a volcanic eruption nearly 8,000 years ago, what is left is a deep, pure blue lake in this now sleeping volcano. Crater Lake is the deepest lake in America, surrounded by peaks nearly 2,000 feet tall. Drive or bike (or run!) the 33 mile rim trail, or hike up to a fire lookout tower or down to the waters edge. In the winter there is also the option to navigate the rim by snowshoeing or cross country skiing, and getting a unique view of the lake dusted in snow. We opted for hike the rim with snowshoes on this visit. Nearby is the raging Rogue River, which provides ample opportunities for white water rafting (or lazy river floating), fishing, kayaking and more, when the season is right. The next stop on our tour was the magnificent Smith Rock area. 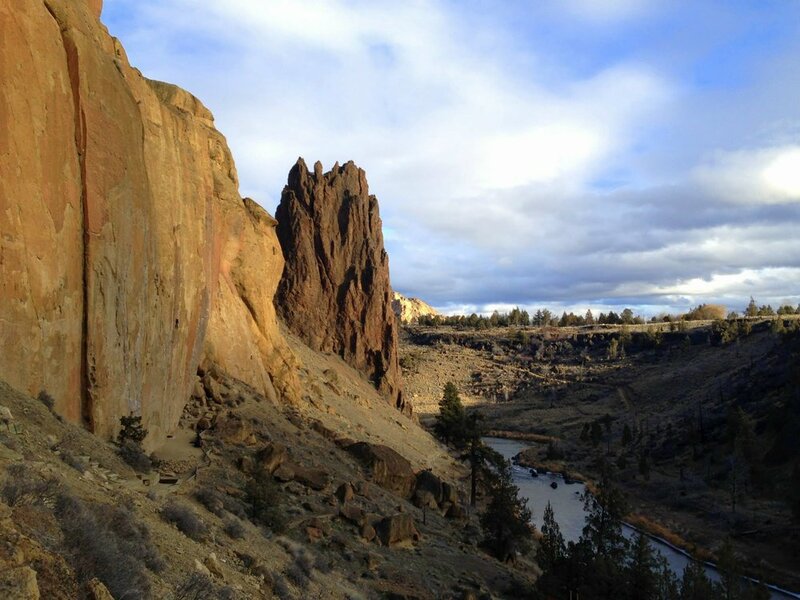 A popular rock climbing destination, Smith Rock's large geologic features also provide a nice hiking and mountain biking destination in Central Oregon and is a great place to relax on the winding Crooked River. Fly fishing in this area can be incredible too if that is your jam and the bite is on. Last, but certainly not least, we headed north east to the John Day area in search of prehistoric adventures. The John Day Fossil Beds is a dispersed National Monument consisting of a few main areas. 1) The Clarno Unit consisting of large volcanic mudflows, formed 50 million years ago and containing fossilized plants which can be seen along the cliff walls. 2) The sheep rock unit, which has many great spots to enjoy the peaceful John Day River along with some beautiful scenery. 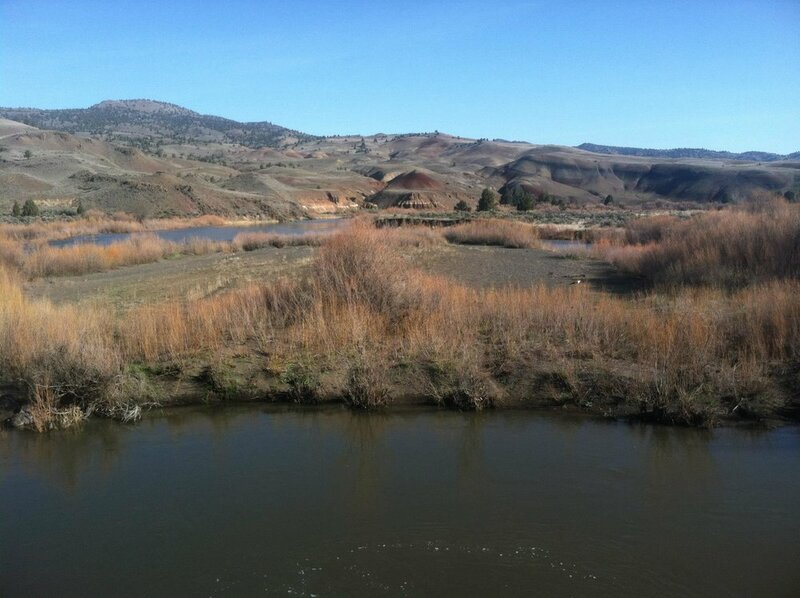 There's lots of BLM land around here so finding backcountry roads and epic camping spots is easy and fishing for bass (introduced and invasive species) can be hot as can the steelhead if the season is right. And finally, 3) the spectacular painted hills, which contains unique and colorful hillsides unlike anywhere else. There's a truckload of adventure to be had in Oregon, and we rolled right on by TONS of other hiking, biking, surf, climbing, fishing, etc. spots on this journey, just stratching the surface and hitting a few of the highlights. If you'd like to learn more about this trip, or need help planning a trip, we offer complimentary and individual trip planning services along with all of our 4x4 camper rentals. Contact us to learn more or reserve your rental today! Older PostWhy Are Rooftop Tents and Pop-Up Campers so Hot Right Now?